Solid door fittings, window fittings and shutter fittings are very important when you have bought a door, window or shutter. Therefore choose qualitative hinges which ensure a good suspension to the frame. 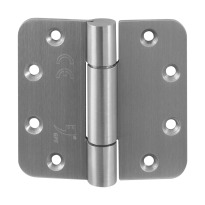 Here you will find an overview of our hinges, complete with the weight they can carry.